Sundalong Kanin written by Jerry O'Hara and directed by Janice O’Hara is an official entry to the 10th Cinemalaya Film Festival under the New Breed Category, released by Front Media Entertainment. The festival runs on August 1-10, 2014 at the Cultural Center of the Philippines. It will also be showing in 4 Ayala Malls, namely: Greenbelt 3 Makati, Alabang Town Center, TriNoma, and Fairview Terraces. Having been raised by parents and uncles who worked in the film industry, Janice O’Hara’s wish to direct comes as no surprise. She started out writing for television, under ABS CBN, then later on ventured into writing for films. She is the writer of Ang Paglilitis ni Andres Bonifacio, a film directed by the late Mario O’Hara for Cinemalaya 2011. 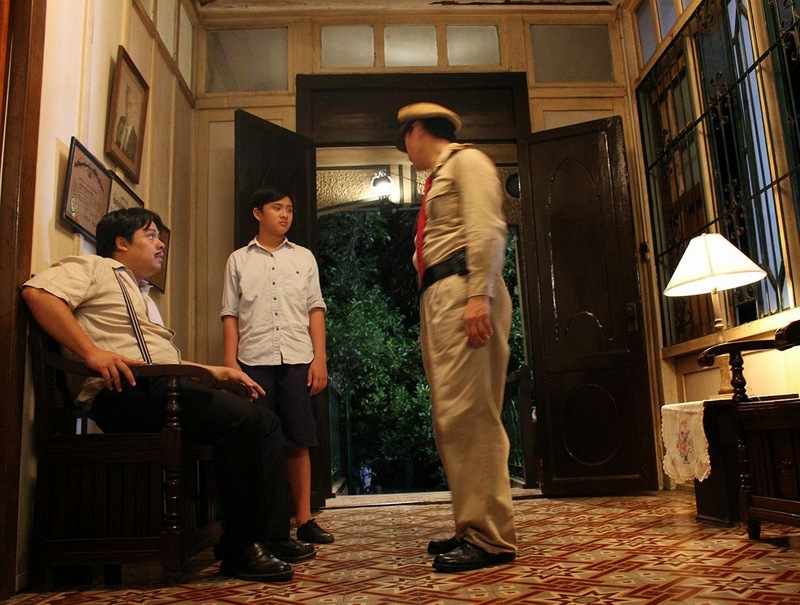 After Ang Paglilitis ni Andres Bonifacio, Janice started working on the material for Sundalong Kanin, along with Rey de Castro, Jerry O’Hara, and Mario O’Hara. She has always been fascinated with history and the stories in it—that while we all have individual experiences, beliefs, and principles, we are still bound by a shared history, something which ultimately defines us as a nation and as a people. 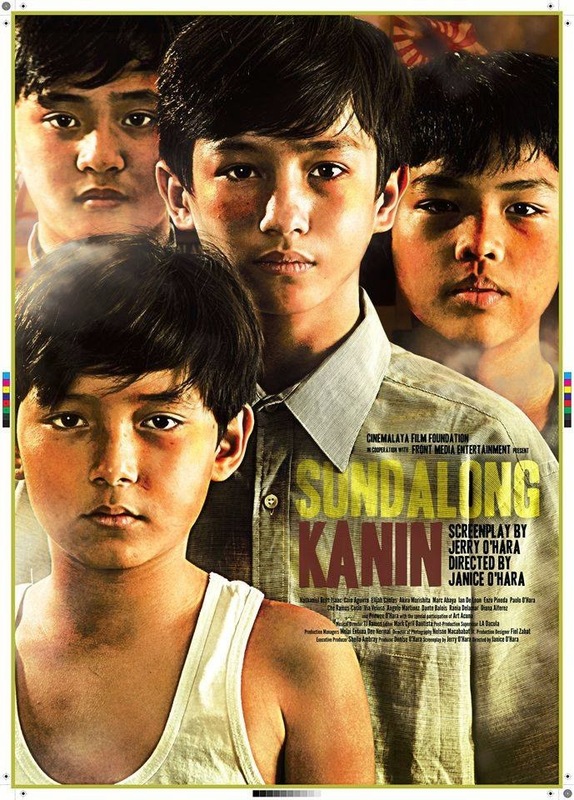 Watch out for the Gala Screening of Sundalong Kanin on August 7, 2014 at 6:15 PM at the CCP Main Theater. 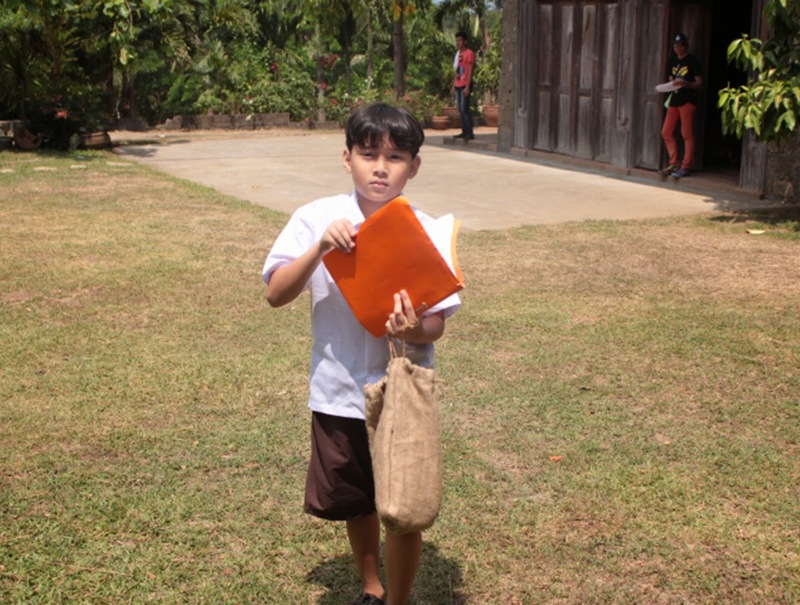 Sundalong Kanin is a film that tells the story of four young boys coming of age during World War II. Armed with nothing more than hand-made tiradors and baril de pana, they are determined to become soldiers and fight for their country. But when they find the guerilla camp, they are ridiculed and dismissed by the guerillas themselves, who call them sundalong kanin, a term used for boys who have no use in fighting but always end up eating the rations of the entire unit. The boys are not easily disheartened, however, and they continue to “spy” on the Japanese Army who have recently marched into their small town. The boys are soon faced with the realities of war, and before they know it, they are no longer children playing at being soldiers—they are soldiers, each determined to avenge what they have lost, to protect what they still have, and most importantly, to give justice where there is none.